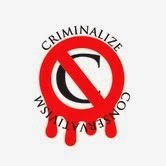 Criminalize Conservatism: The Hate Factory Called "Conservatism." 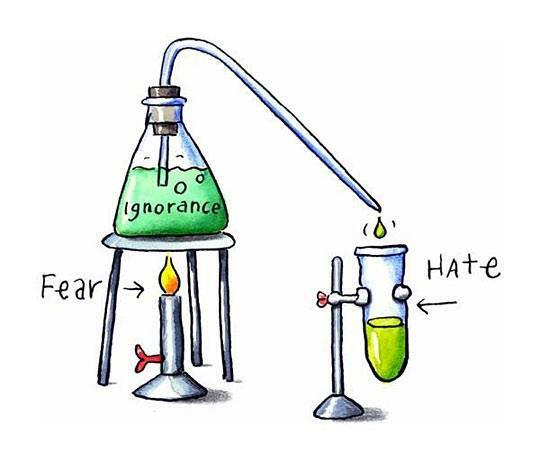 The Hate Factory Called "Conservatism." 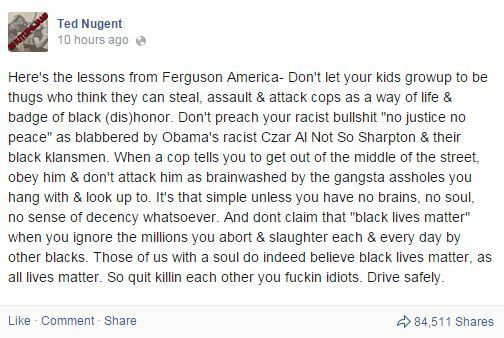 "Ted Nugent’s Hate Speech is No Different From the Modern Day KKK." "Rush Limbaugh Really Hates That There Might Be a Black James Bond (Video)." 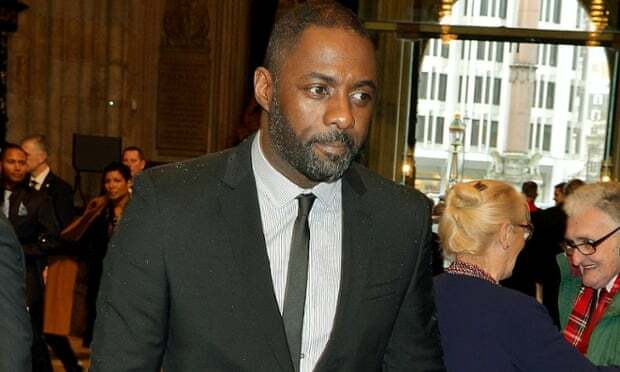 "Idris Elba may be your next James Bond. 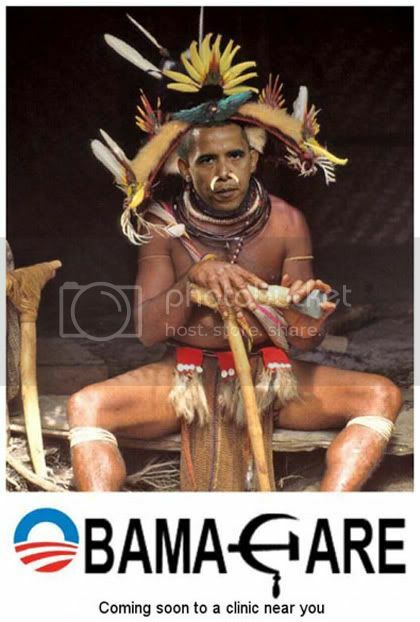 And, predictably, Rush Limbaugh — being the critic of all things cultural that he is — has a problem with this. "See, in Limbaugh’s world, having Idris Elba — a man who caught flack from racists before for playing Heimdall, a Norse God, in Marvel’s Thor — is like casting George Clooney and Kate Hudson as Barack and Michelle Obama in a presidential biopic. It would be like casting Kelsey Grammer as Nelson Mandela. "'James Bond is a total concept put together by Ian Fleming. He was white and Scottish. Period. That is who James Bond is, was,' Limbaugh fumed, adding that, 'But now [they are] suggesting that the next James Bond should be Idris Elba, a black Briton, rather than a white from Scotland. But that’s not who James Bond is and I know it’s racist to probably point this out...'"
"Study: Conservatives Are Shallow Bigots, Liberals Are The Exact Opposite." "Would you like to live in the kind of place where the houses are relatively small and close together but the schools, stores and restaurants are a short walk away? Or would you prefer the kind of community where the houses are large and far apart, but the amenities several miles off? "With disquieting predictability, 10,013 adults — respondents in the largest survey the Pew Research Center has ever conducted on political attitudes — answered according to their ideology. Seventy-seven percent of 'consistently liberal' adults went with what sounded like the urban milieu: the dense neighborhood, the compact home, the 'walkability.' Fully seventy-five percent of “consistently conservative” adults went with the polar opposite. "The Washington Post tries to solve this riddle but it’s not terribly complicated: Conservatives are forever chasing a past that wasn’t while liberals are more concerned with living in the here and now. "Remember, to the average conservative, 'real' America is living 30 miles from your job in a large house with a white picket fence and the wifey in the kitchen cooking apple pies in a dress, high heels and pearl necklace. 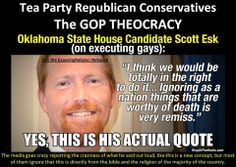 Think Pleasantville but with even less diversity..."
Mrs. Esk's little boy Scottie is a typical Conservative, and Conservatives love him for his ability to make hate a positive attribute of anything anyone in the GOP says and everything they want for the rest of us. Why do we allow the Cons to spew their hate so relentlessly upon an unsuspecting populace? Is it because Conservative is still legal, or is it because Americans love to hate? I pick the first answer...Joyce, Jnr. "How often can you go see a bunch of white guys play basketball?" National Republican Congressional Committee chair Pete Sessions.